GO NUTS! 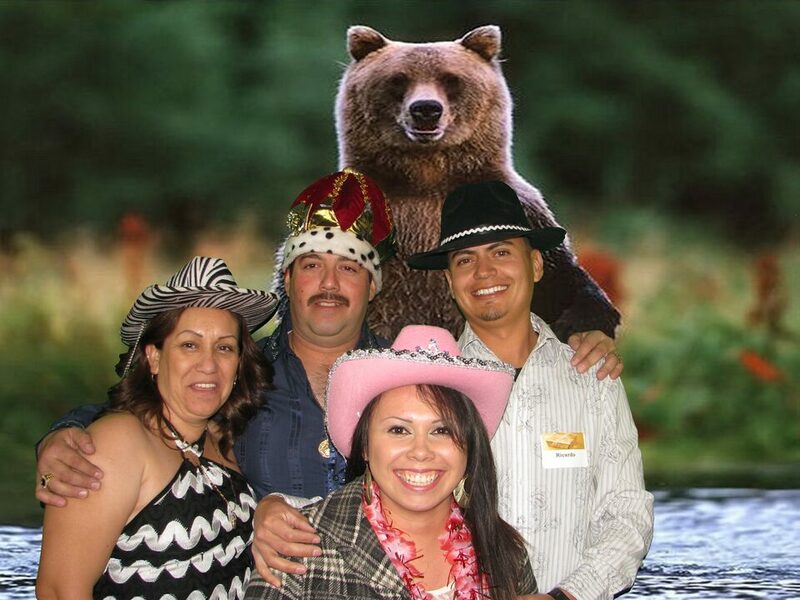 Photo Booths offer green screen technology to take your guests anywhere in the world, or match any theme with green screen images (any jpeg)! We have thousands of stock backgrounds to choose from or you can also provide your images to us for your event! Based on the layout you choose, you can use separate images for each frame! Our photo booths are Booth-less (or "Open-Air"). In other words, our "booths" are accessible to everyone and you do not have to squeeze all of your friends into one little boxed booth! (Hey! We have even had a Harley Davidson in there as an event prop!!) You can have as many friends as you can fit into the photo (the record is +22!). Whether it is 2 people or several, your guests will have a great time seeing their images as the camera counts them down with the background on the actual photo booth in front of the green screen. Our friendly attendants will make sure that your guests GO NUTS and have a great time – and leave with their photos printed on the spot! To have a more formal or finished look, our Photo Booths come with Black Draping to enclose the area without compromising the Booth-Less idea! If you do not want the green screen, we can also use the draping as a solid black background for your guests photos and images (note: green screen may also be used as a solid background image in any color of your choice). 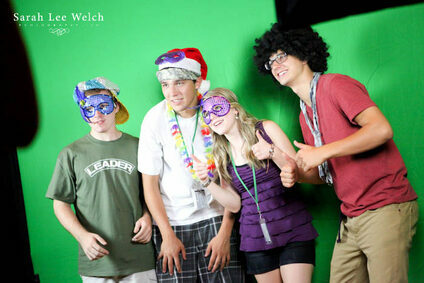 Whether you are using the green screen or the black draping background, your guests will also have a props box at every event filled with fun hats, glasses, boas and other fun props they can choose from to use in their photos! Each guest can choose to GO NUTS and have fun with or without the provided props! After your guests GO NUTS! at your event with their pictures, each client receives a USB Thumb drive of each print! All of these images are yours to keep, post on Facebook, or share them with your guests in any way you choose! Every image is printed on the spot in high-resolution color prints (black & white photos are also available) for your guests to take home and keep as another great memory of the evening! Customized backgrounds, Step and Repeat, layout and logo options are also available! Please ask us for details and be sure to visit our photo gallery for more ideas!